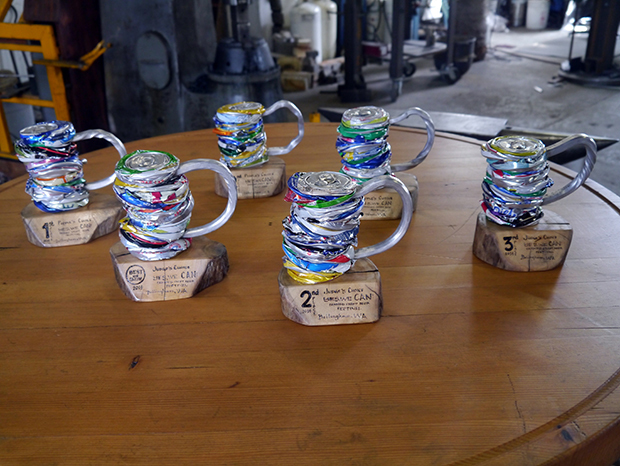 These awards were created for Resources, host of the first annual canned beer festival. As an environmental organization, Resources promotes the use of cans as an alternative to glass bottles within our booming craft beer movement. 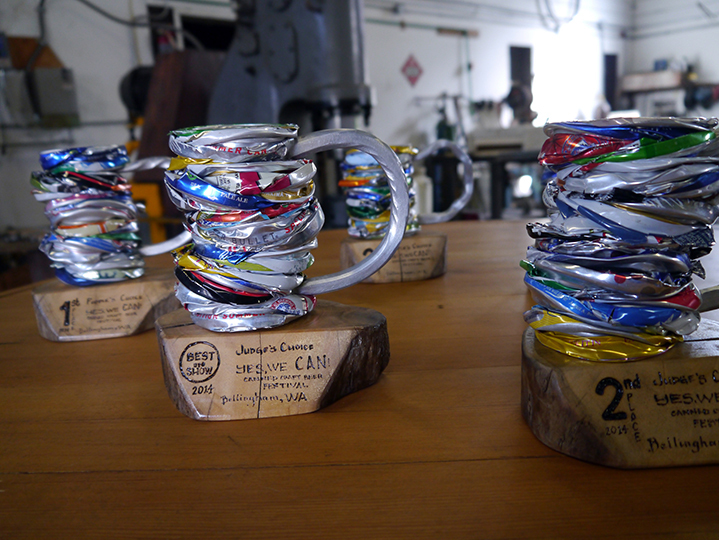 Each “stein” uses 50 recycled cans pressed into a solid block, adorned with a forged aluminum handle and wood burned graphics by Say Jay.